Beautifully restored multi use property right in the heart of Old Bisbee. Built in 1914, storied to be the first poured concrete building in Arizona, currently a bar, but the potential is endless. With over 2900 sq ft, the first floor (bar)has 3/4'hardwood flooring, pressed tin ceiling, antique mahogany bar, back bar, and lighting. Loop radiant heat, ductless AC, hardwood flooring, basement has storage, huge space housing billiards, two bathrooms servicing the bar. 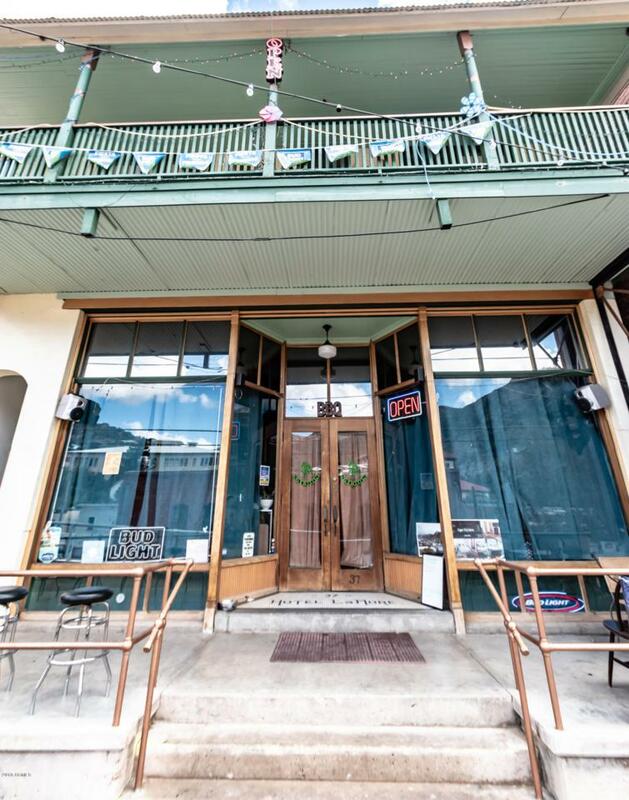 Upstairs via an outdoor staircase, you'll find a completely renovated, over 1850 Sq ft apartment 3 bedrooms, ensuite baths, eat in kitchen, great room with balconies and magical views of Bisbee. Great income potential! Parking area (currently used by the saloon for dining)is not included in this sale. See document tab for more! !